With Emmanuel Macron and Marine Le Pen the last two candidates standing in the French election, the mainstream parties have been shunned. Our experts look at the implications. Pro-EU, pro-immigration centrist Emmanuel Macron and anti-EU, anti-immigration Far-Right candidate Marine Le Pen are through to the run-off vote to determine who will become France’s next President. Macron won approximately 24 per cent of the vote in the first round; Le Pen 21 per cent. Most other votes were shared by Francois Fillon and Jean-Luc Melanchon. Both the two major parties have been dumped, setting up an extraordinary second round vote. Here, University of Melbourne experts assess what the results mean and the implications for the future government. Professor Gabriele Suder Director, International Relations and Principal Fellow at the Melbourne Business School, University of Melbourne. The results show the electorate’s desire for a contemporary ‘French revolution’ in the political system. Voters have shown the traditional political parties are not providing the solutions they want (and need) to current issues concerning security, the economy, geo-politics, welfare, immigration and the environment. And they have not for some time. Conservatives and socialists had been in power for more than 30 years. People’s perception is that they were not able to deliver fruitful outcomes economically; rather, they maintained an economic downturn for the past ten years. Disillusioned by traditional politics and political scandals, ever-increasing over the past three decades, they have turned to pave the way to a new political reality. 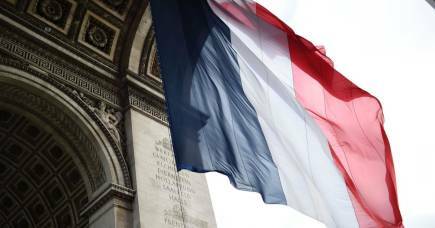 Of 47 million French voters, in France and abroad, more than 78 per cent voted in this round, very slightly below participation rates in the elections of 2012. However, it remains to be seen whether turnout will be high in the second round. With the notable exception of the 1969 elections, more French voters cast their ballot in the second round than in the first. It is crucial this remains the case. Non-extremist voters might consider that all danger of extremism is over and the case won. It is not. 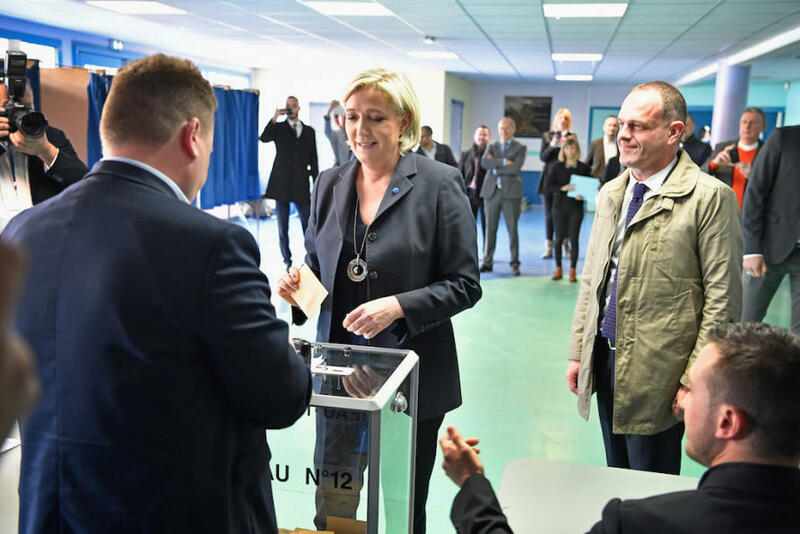 If they don’t commit to voting again in the second round, Le Pen will benefit from their absenteeism because extremist voters are sure to vote. While media are quick to announce that Le Pen’s chances are ‘crushed’, let us remember from contemporary history that no second round of French elections is truly predictable. Yet, I would not expect that Le Pen will win. The electorate will vote ‘against’ her, rather than ‘for’ Macron. A second danger, though probably less broadly appreciated in the face of looming extremism as only alternative, is the French voters’ confidence in Macron’s ability to lead a program that will depend profoundly on the parliamentary majority that will be determined through elections in June. Importantly, as a result of these elections, France will face a constitutional crisis. No matter which of the two candidates becomes the next president, he or she will not have a majority in the lower or upper house. Hence neither candidate will be able to effectively govern as the system currently functions. 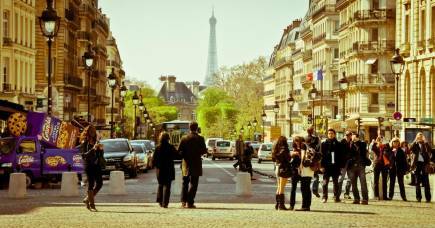 There are approximately 75,000 French citizens in Australia. More than 23,000 of them had registered to vote. They have been numerous and highly committed, queuing up in the sunshine for hours, amongst them families with small children, pregnant women, elderly citizens, and others who showed their true commitment to democracy and the privilege that we have to be able to vote – a privilege and power that many peoples in the world envy us all for. 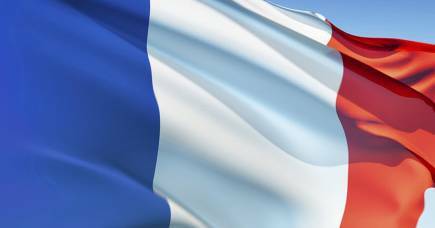 The French community in Australia is looking forward to supporting democracy and change again on 7 May. This is an historic outcome, with the mainstream party candidates passed over. But it is all the more important, because it now opposes Emmanuel Macron (pro-Europe, liberal on social issues, international in outlook) to Marine Le Pen, who is the opposite. He is everything she loves to target: elite, global in outlook, and a banker. Macron will win the second round, and deliver a major boost to those who see the future best secured by openness, collaboration and tolerance rather than xenophobia and nostalgia. But he will struggle to do anything about the stagnant economy. The dust of months of turmoil and unpredictability has settled as French voters have finally put an end to the uncertainty plaguing the first round of voting for the presidential elections. The political campaign leading to the elections has been rightly called ‘exceptional’ for many reasons, and several lessons can be learned. First of all, the polls in this case were quite accurate. The recent trend has been that polls no longer provide a good picture of the political landscape. Several newspapers such as Le Monde and Le Figaro ran articles explaining the limits of polls and the dangers of relying on them, and noting particularly the pitfalls of ‘fake polls’ (in the last week of the campaign, several fake polls on social media were predicting Fillon’s victory). Not so here, where the final results of the election reflect the latest opinion polls very closely. Second, voter turnout has been decent (voting is not compulsory in France). The presidential election is the most popular election in France, and while many feared detachment and a lack of interest in the candidates would result in a low turnout at this election, participation has been estimated at 77.3 per cent (only slightly lower than in 2012, when it was 79.5 per cent). The long queue along the streets of St Kilda in Melbourne for the polling booths at the Alliance Francaise on Sunday (and waiting times of up to several hours) was a good indicator of the eagerness of French citizens to vote at this election. Third, last Friday’s terrorist attack appears not to have had the impact some were expecting. Indeed, during the last days of the campaign, Francois Fillon, of the Right-wing Les Republicains party, and Marine Le Pen of the Far-Right National Front, tried to use this attack to ramp up votes for their parties. However it does not seem to have worked this time given the relatively steady-to-low results for these candidates (Fillon 20 per cent and Le Pen 21.7 per cent). Fourth, Emmanuel Macron’s qualification to the second round, with the highest score of all candidates (23.9 per cent), is an outstanding victory for him and the En Marche movement, which was created only a year ago and is not affiliated with any traditional political parties. 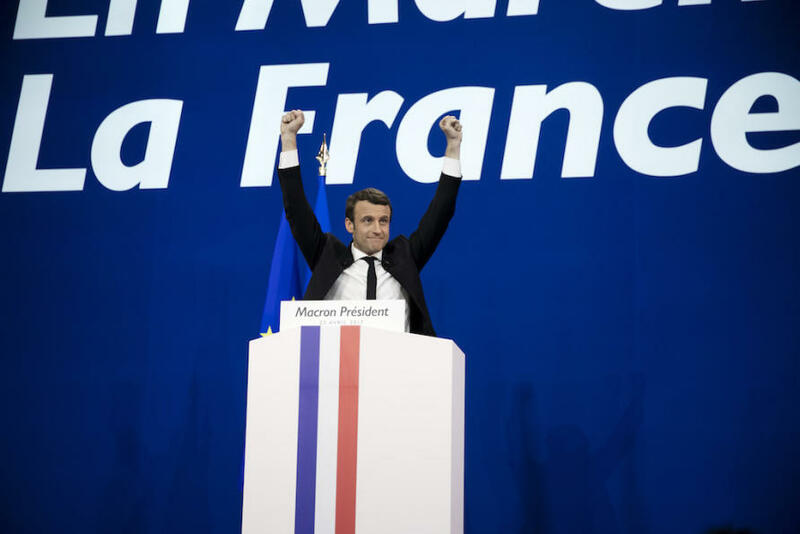 Throughout his campaign, Macron claimed that he was neither from the left nor right, but rather would draw on the best of the both, and govern accordingly. Throughout his campaign he has accumulated the support of political figures from both sides of the political spectrum. Finally, Marine Le Pen has – as expected – qualified for the second round, but hers is a hollow victory. In some ways it is, in itself, a very good result for her. She has achieved a much higher score than her father did in the presidential election of 2002, and has increased her own base by four points. While the success of her father, Jean-Marie Le Pen, came as a complete surprise – and shock – to French politics in the first round of presidential elections in 2002, it is unsurprising that his daughter has done the same. Polls have put Marine Le Pen ahead of all other candidates for over 6 months. What is surprising is that, as Le Monde points out, her result is far from an outstanding one. Indeed it far from what she herself predicted, and from what many of her detractors feared. At 21.7 per cent, she lags behind Macron, leaving her in second place for what will now be an extremely difficult final round. Being ahead of the first round would have given her momentum for the second round, given there are several hurdles she must overcome to be elected president. Looming largest of these hurdles is the call made – just a few hours after the results were released – by the (unsuccessful) candidates from the major political parties, Fillon and the Socialist Party’s Benoit Hamon – for the French people to vote for Macron over Le Pen in the second round. In a final surprise from this extraordinary campaign, the Socialist Party – one of France’s two ‘major’ parties – has almost entirely collapsed, with Benoit Hamon receiving less than 7 per cent of the vote. Fillon has come third, meaning that neither major party will see their president in the Élysée Palace for the next five years. 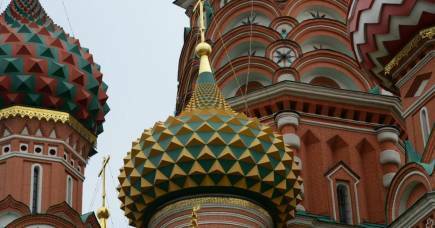 Russia's meddling in the French elections: How and why? In Macron and Le Pen, it can be said that two ‘anti-system’ candidates have prevailed. The most important outcome of the first round of voting in the presidential election was the death of French traditional parties, the Socialists and the Conservative party. They will have to deeply reform and unite their discourses if they want to exist in five years. 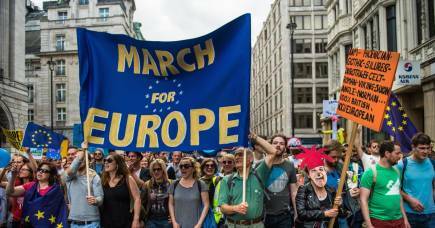 The second round opposes two visions of France, one pro-European, optimistic, more privileged and benefiting from globalisation, to another who feels threatened from globalisation, anti-EU, anti-immigration. It might lead to a deep political renewal in France. Macron is likely to win since Fillon and Hamon called on voters to support him, but things are not certain and it will not be a large victory. If President, Macron’s main challenge will be to gather a majority at the Parliament in June with the legislative elections, which will be really hard. So we might have a President unable to govern. The Far-Right will remain a significant force in France, and results show that although many French voters still support the EU, they want it to be reformed.